Grated Italian full fat hard vegetarian cheese made using pasteurised ewes' milk. Made in Italy. Carefully matured for a nutty, salty flavour. 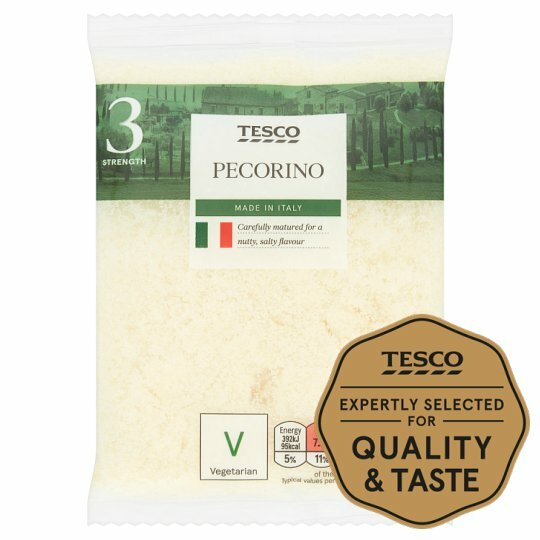 INGREDIENTS: Pecorino Full Fat Hard Cheese(Ewes Milk). May contain traces of goats' milk due to traditional farming methods.. For allergens, see ingredients in bold. May contain traces of goats' milk due to traditional farming methods.Packaged in a protective atmosphere.